The experiment is working out well. I should have it finished later today. 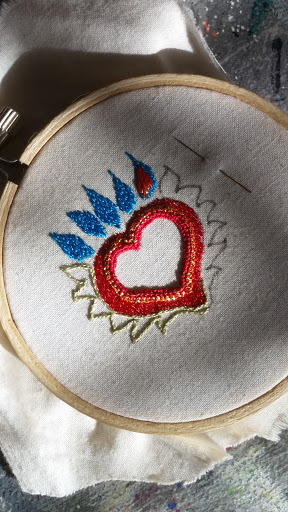 There'll be some french knots and probably some pearls, or other beadwork. So, now it's time for some coffee and then back to the stitching.